zOMG there's an app for the iPhone mobile phone, too! You bet there is. Just like its big brother app for the iPad mobile device, you'll be able to search, browse, read reviews, collect favorites AND buy really awesome things. How is it different, you ask? This isn't just our iPad mobile device app smashed into an iPhone mobile phone app, this one is made just for the iPhone mobile phone. Which really just means it's easy to shop using only your thumb. At Zappos.com you can find super cool cases and accessories for your mobile devices and mobile phones. We have iPhone mobile phone cases, headphones, and electronics. If you're already familiar with all the things we carry, then you'll be extra pleased to learn that the full catalog of products is available through the app. We're always looking for feedback and ideas, so please download it and let us know what you think. 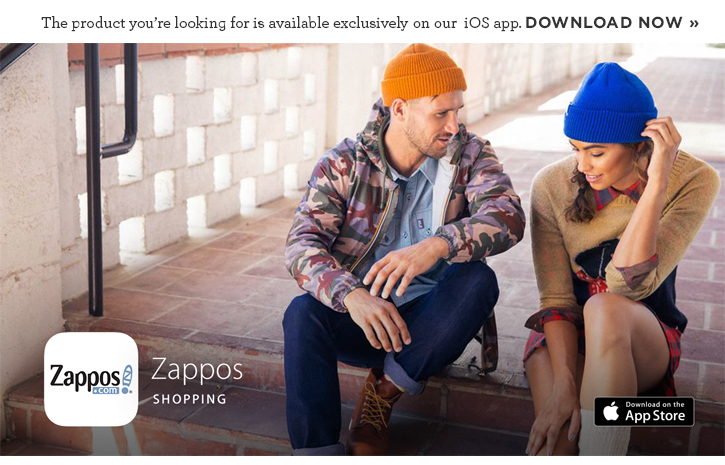 We'd like to hear from you via @Zappos_Mobile on Twitter. Bring on the good, the bad and the not so pretty. Try it. Rate it. We love you!